VICTORIA JOHNSON – FITNESS CELEBRITY, SKIN CARE AND NUTRITION PRODUCTS CONSULTANT AND DANCE DIVA! VICTORIA HAS 24 TITLES OF DANCE/FITNESS WORKOUT DVD’S AND VIDEOS AND IPOD DOWNLOADABLE WORKOUTS WITH TENS OF MILLIONS OF COPIES DOWNLOADED, SOLD AND PROMOTIONAL GIVEAWAYS IN THE TENS OF MILLIONS! VICTORIA IS A PROFESSIONAL TRAINER – FOR ELITE ATHLETES, MODELS, ATHLETICALLY GIFTED YOUTH, AND ENTERTAINERS ON SPECIAL ASSIGNMENTS. TRAINER’S TRAINER – TRAINS PERSONAL TRAINERS, GROUP FITNESS INSTRUCTORS, PROGRAM DESIGN FOR COMPANIES, CLUBS, GYMS AND STUDIOS. CEC WORKSHOP LEADER FOR OVER A DECADE. LIFE COACH AND BUSISNESS CONSULTANT, SPIRITUAL MENTOR TO ENTREPRENEURS, ATHLETES AND ENTERTAINERS and CORPORATE EXECUTIVES. WORKS ON DEVELOPMENT PROGRAMS FOR TOP CELEBRITY SPORTS AND FITNESS TALENT AS A LIFE COACH TO HELP DEVELOP A TOTAL LIFE PLAN FOR CREATING, MANAGING AND SHARING WEALTH GLOBALLY! ONE OF VICTORIA’S TOP SELLIN BOOKS AND SPEAKING TOPICS. INVITE HER TO SPEAK AT YOUR NEXT WEBINAR OR EVENT! Victoria Johnson, one of the most respected Celebrity Dance Fitness Talents in the Industry. She has Starred in and produced 24 DVD and Videos. Millions of enthusiast own her titles. Professional Speaker, Authors, Professional Fitness and Sports Trainers Internationally. Victoria is known as “the teacher’s teacher,” due to her status as a professional continuing eductation credit provider. She trains professional fitness instructors, international personal trainers, physical education teachers and other sports professionals, including Baseball, Soccer, Basketball, Golf and other sports athletes, models ,entertainers for special projects, appearances and photo shoots. A lecturing professional Speaker, Workshop Presenter, Webinar of Reclaiming Your Personal Power, Peak Performance, Athletic Training, Sports Science and Sports Nutrition to the NBA, WNBA, NCAA Athletes and Boys & Girls Club affiliates. Victoria presents at and to small businsess development events, Amazon FBA Consulting, fitness, busines and personal trainng workshops and webinars, training personal trainers and group exercise instructors at professional conferences and training camps. Victoria also is featured at private business events globally. Victoria speaks around the world to Fortune 500 companies on topics of: Peak Performance, Nutrition, Fitness and Weight Loss. Victoria also consults, speaks and designs fitness programs for Faith-Based organizations and Faith Institutions internationally. 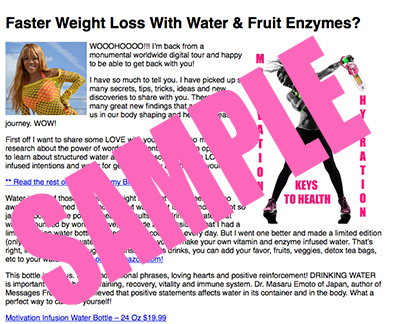 Her Global web directory has over 300 organizations featuring her Body Revival concepts on site. She is a regular presenter and speaker at spiritual organizations, programs and private churches around the world. Victoria is a Board Member of the International Fitness and Nutrition Institute (IFNI), a division of the American Fitness Health & Wellness Institute, is the ultimate in national Fitness Certifications. Victoria was runner up “International Dance and Exercise Association Instructor of the Year” two years in a row and was runner up for “Fitness Business Person of the Year”. Victoria is the creator and star of Victoria’s Body Shoppe TV Series that is licensed internationally and has created ten Workout DVD’s of which four titles were the Number one selling Professional Instructor DVD’s in the country. Victoria’s Body Shoppe Series sold a record 400,000 copies at one promotion at Target. Collectively Victoria’s Video and DVD’S have sold millions of units around the world. Her videos and Celebrity Health and Fitness TV Show was syndicated world wide on Prime Sports Network before being bought by ESPN Sports. Victoria is the author of Body Revival, a top selling fitness book published by the prestigious Chicken Soup for the Soul franchise publisher. Body Revival reached the Amazon.com Best Fitness Books list at number 8 when Title was released. Three of her workout videos have won Fitness Video of the Year. 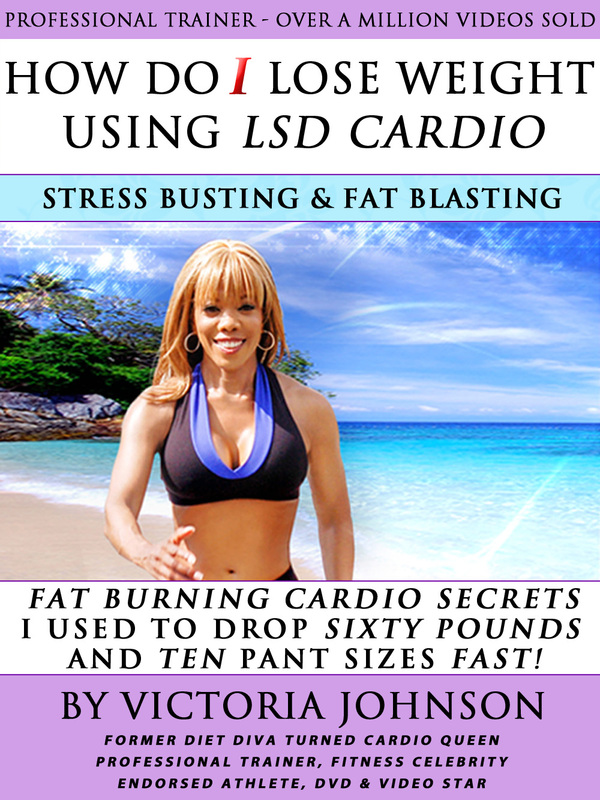 Victoria has FIVE Best Selling Books on Amazon.com and has been featured and co –authored and contributed to several best selling fitness books with Human Kinetics, Gold’s Gym, Rodale Press, Prevention Magazine, and her best selling e-book, Victoria’s Quick Start Energy Program is an online hit. Her latest online block buster hit is Victoria’s Thin Thighs Program. When the trend setting Chicken Soup for the Soul publishers went on a search for find the next pioneering author for a new spirit based book for the Lifestyle division they chose Victoria Johnson. Victoria is an insightful spiritual and business visionary who leads her field as a critical thinker, mentor and coach to a myriad of personalities. Victoria works with professional athletes, Business CEOs, Entrepreneurs. She works with entreprenurial companies and individuals who are looking to take the their company or their life to a higher level of performance and effectiveness. She has well served in prestigious positions as a spokes model and marketing consultant for L.A. Gear, Athletic Footwear, NutraSweet, and Nike. She is an internationally acclaimed professional producer, trainer, speaker, lecturer, trade associations and professionals worldwide. Her passion for ancient wisdom and futuristic thinking abilities earned her a place in “Common Ground”, a book that features “People to watch”, as one of the most influential women of the decade. Her universal principles and communication style moves past the perceived barriers of cultural limitations and pierces the hearts of her listeners. She has devoted followers of all cultures, from Pakistan, to Nigeria to Hong Kong Victoria’s message is embraced and celebrated as refreshing and impactful. integrative principles that transcend age, industry, background and gender. Her positive, energetic and interactive approach to success is infectious and has yielded incredible results. Her elevation thinking about Quantum Success, Personal Health, Optimum Nutrition, and Life Charging Exercise… One that inspires, motivates and empowers individuals to take control of their destiny. Seeing her today, it is hard to imagine she once carried 170 plus pounds on her fit frame. Glowing with good health, divine prosperity and real emotional and physical energy today. Victoria is living proof that a long-term cycle of poverty thinking, poor health and negative behavior can be broken. Her charming appeal, humor and gift of inspiring entertainment is a bonus. • Internationally-acclaimed Personal Development author, trainer, professional speaker, lecturer, workshop leader and consultant on topics including; Attitude Of Excellence; Contemporary Goal Achievement, Divine Strategies; Discover Your Physical Power to corporations, trade associations, and Business and Fitness professionals around the world. • President of VJ International, a consulting, marketing and public relations firm specializing in personal brand development, Amazon FBA Consulting, Social Media Program Design, and talent management of authors and athletes. • Interview Expert, Celebrity Hostess and executive producer of “Celebrity Health and Fitness,” a nationally aired Magazine Style Television show that was aired on PRIME Sports Network. 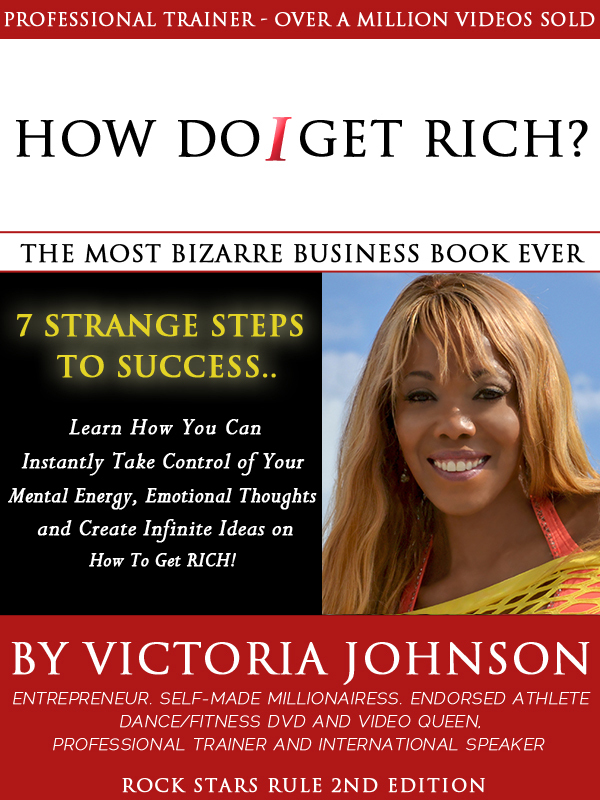 Victoria and her guest revealed “How to be a Winner” in your chosen field. • Star and creator of “Victoria’s Body Shoppe”, a nationally aired Fitness Television airing show on PRiME Sports Network. Fun, sweat and style were the Flavor of this hot show. • Corporate Spokes model, Endorsed Athlete and Consultant to companies including LA GEAR, Nike, Adidas, The NutraSweet Company, and Soloflex. • Internationally viewed by over 100,000 visitors each month. • Star and producer of over 23 Dance Fitness Videos – of which 4 have been nominated fitness video of the year. • Celebrity fitness expert on major TV talk shows, infomercials, home shopping network and magazines. Nutritional Analysis, Weight Management and Motivation and most important, career development. • A number of media presentations for CNN, CBS, ABC, ESPN, Fox News and other media outlets. World Athletic Fitness Conference/Italy- Germany- Japan-Spain-Brasil-USA, etc. AND HUNDREDS MORE! VICTORIA’S PASSION FOR HELPING, GIVING BACK AND PROVIDING TO TOOLS FOR YOU TO LOOK YOUR VERY BEST AND LIVE YOUR BEST LIFE POSSIBLE IS HER MISSION IN LIFE! I have used your videos since the 1990s. I am very inspired by you and your work. That’s great, I’m so happy to hear you are getting results! Detoxing is very good and necessary but too often can reduce effects. Usually 4 times per year is recommended when the seasons change. This is good for general health. For weight loss it’s good to detox every 6-8 weeks. Detoxing for weight loss is different because it helps jump start the metabolism. In between using the Skinny Detox tea, using Matcha tea in shakes and smoothies will help with providing antioxidants to keep your immune system strong and to get rid of the rash for good. Keep it up!